Day Twelve: Ready to “Ding Dong Dash” the neighbors on Friday! Who knew Wednesday could be so pushy? So, guess who will be wrapping up these babies tonight and tomorrow? Yeah, this girl! 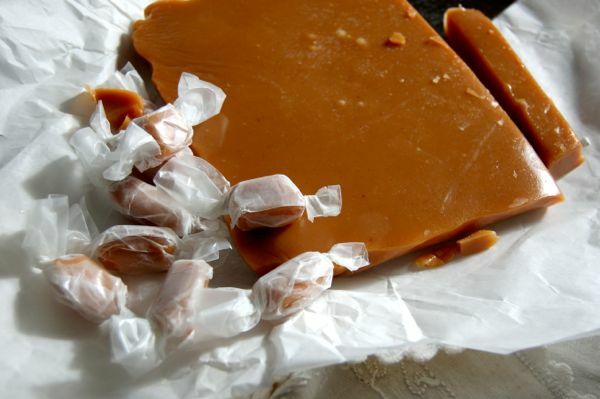 If making caramels isn’t your thing (and I tried, the kid won’t give up his “secret” recipe) and you don’t have an adorable college student to talk into doing the job for you, this little package works just as well with store bought candy or cookies or really anything you’d want to leave as a gift! You can make these door packages in 3 easy steps! Cut out a large square of cello. I just plop whatever I’m wrapping up on the roll of cello and cut a square that will give me a bit of extra at the top. Tie closed with ribbon of your choice. Cut a piece of wire garland (about 15″). Create a “loop” by twisting it closed at about 3-4″ from the ends. 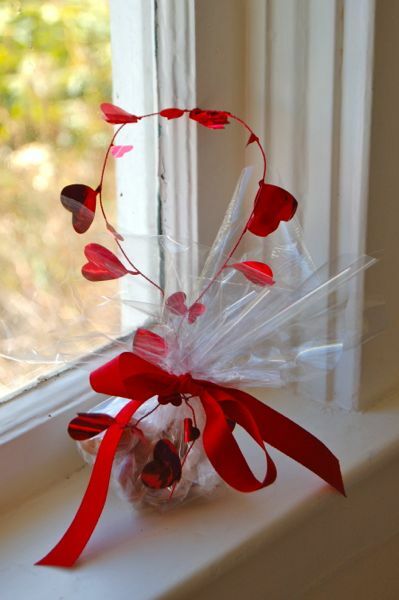 Then twist those ends around your package where you tied your ribbon. And that’s it. 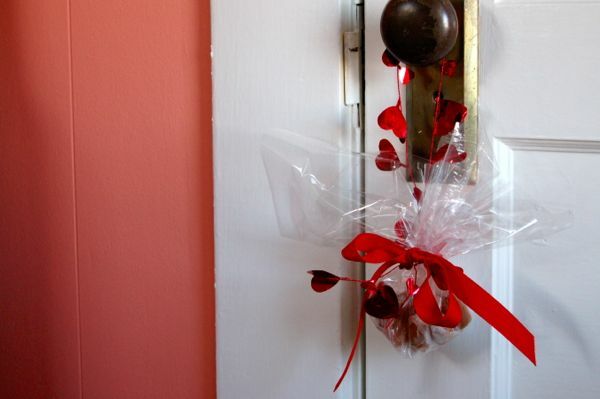 Now the hard part: leaving them on your neighbor’s door without getting caught. Good luck!